Merry Christmas!! I’m super excited to start wrapping presents this week. We’re getting our tree this weekend and I have all my wrapping paper picked out. I LOVE giftwrapping. Like, seriously love it. 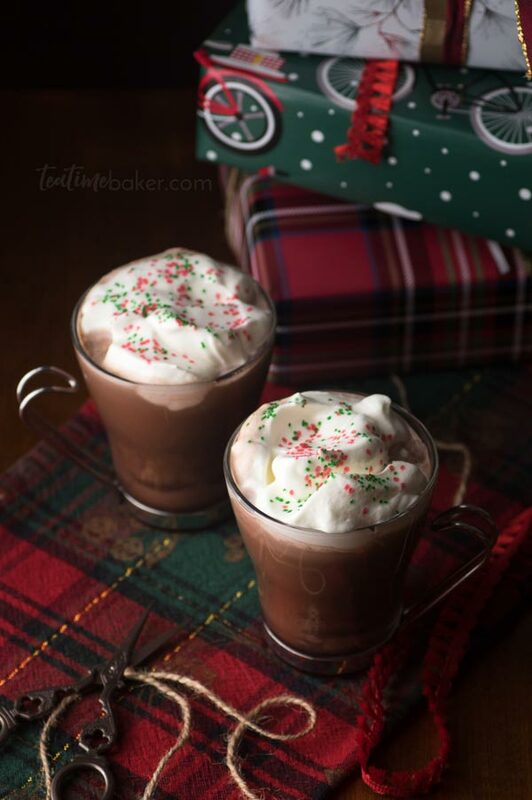 This year I decided that Hot Chocolate with Peppermint Whipped Cream is the perfect accompaniment for nights wrapping those shiny gifts. Last year in a strange twist of fate the kids ended up at Grandma and Grandpa’s house on a weekday morning. 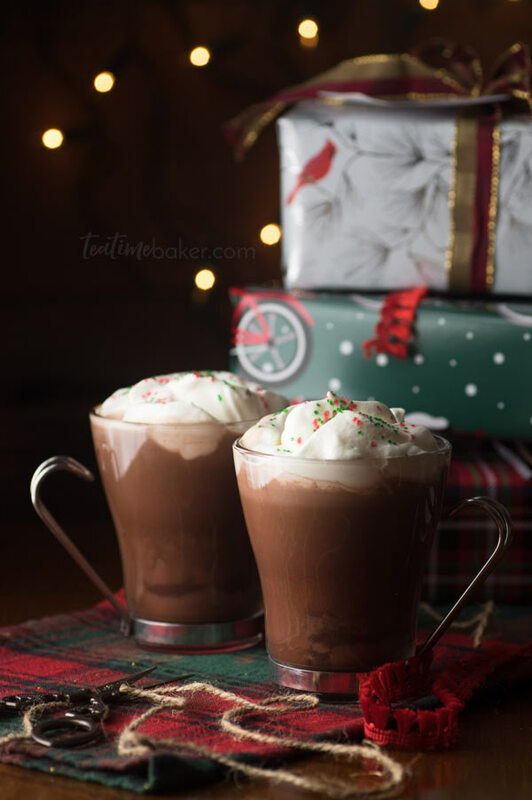 I spent that time wrapping every present I could find, drinking hot chocolate and watching Harry Potter. It felt like a super fun date with myself to celebrate the holidays.